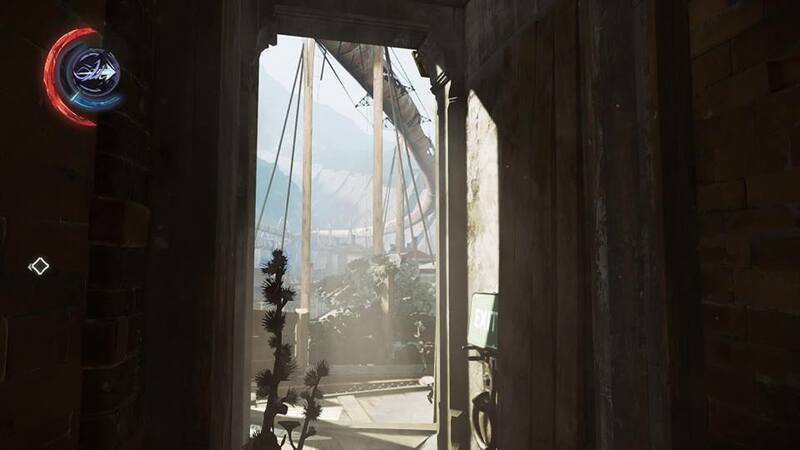 The original Dishonored was an incredibly well received game, but did it really need a sequel and just how good is Dishonored 2 anyway? To begin, I want this review to cover as much as possible, spoiling as little as I can, so I'll keep the actual plot to a minimum and instead focus more on my own experience with the game. Like most games, I began play on Hard Mode. I like a good challenge, so this seemed like the most fitting option for me, playing it the first time around. 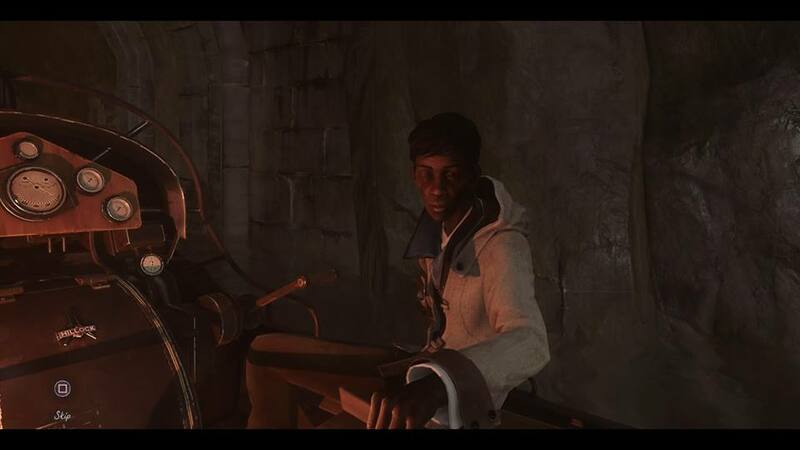 I also never finished the original Dishonored because my PC died just as I reached the sky tower, but I know there were a few DLC missions involving Daud and Delilah, who conveniently enough get mentioned a fair bit in Dishonored 2. 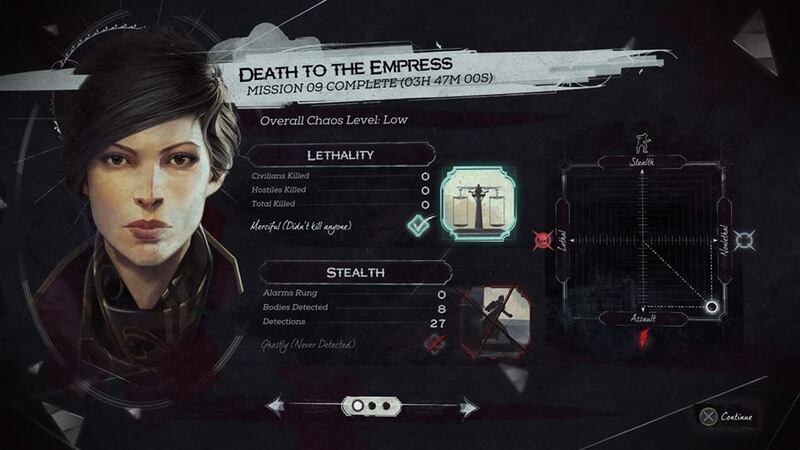 The plot begins with Emily Kaldwin as the new Empress of The Isles after Jessamine's demise from the original game. You are then lead to your throne and greeted by none other than Corvo, your father, before a military coup takes place. Invaded by Delilah and betrayed by half of your guards, many of your friends and closest allies are killed in the process and it's at this point you're given a choice - Do you play as Corvo, the hero from the original game or Emily Kaldwin, the now overthrown Empress and daughter of Corvo and Jessamine? For my playthrough I chose Emily, so it was up to her to determine whether or not Delilah was truly an heir to the throne, though I personally had my doubts. From here, Corvo was frozen solid in a stone-like state by Delilah's otherworldly powers and as Emily, I was forced to flee Dunwall Tower. My home and palace. The place I ruled. The place I had known and felt comfort for my whole life. The only world I knew. These were of course the thoughts running through Emily's head, but with thanks to an intricately designed signet ring, all was made possible, leading to a secret passage inside the walls of Emily's bed chambers. It is then from here that the gameplay fully opens up. Gameplay wise, this plays very much like the original. You're given an area to explore with a number of vantage points to hide, attack from afar or escape to. You can go all out on a murderous spree or tackle things from a stealthier approach. Both work fine, but I always preferred the stealthier methods in games like this, so that's what I did with Emily. Some of the areas are quite large and it felt like the further into the game you delved, the more expansive the areas became. 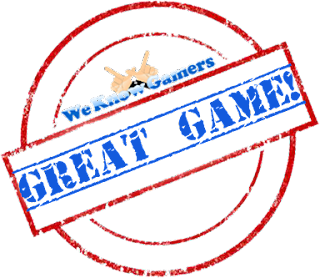 Add your powers to this and you end up with a whole other host of options for tackling your environment, completing your objectives and both reaching and shutting down your targets. The powers I used the most were Far Reach and Domino, with Shadow Walk and Darkvision giving me slight aid when I wanted to change things up a bit. To break this down, Far Reach is similar to Corvo's Blink ability from the first game, except instead of instantly teleporting you somewhere, it slings you forward to that location and unless you upgrade this power later on to make you invisible during Far Reach, there's always a chance patrolling guards and thugs will notice you. Domino is an interesting one because it allows you to link anyone you designate as a target to one another. This means if you link three people and kill one, as soon as the one you killed died, they all die. I mainly used this when choking people out or strategically shooting one with a sleep dart from afar. When one goes to sleep, all marked targets do. I thought this was a really awesome power and it sure came in handy along the way! The other two powers I previously mentioned were Shadow Walk and Dark Vision. Shadow Walk allows you to turn into a shadow creature, travel through rat sized passages and sneak up on enemies, killing them or incapacitating them by forcing your shadowlike smoke arm down their throat. It's a lot darker than the normal way to deal with situations, but is a fun alternative. Dark Vision on the other hand allows you to see enemies and electrical/mechanical devices/opponents through walls (once upgraded), as well as tracking enemy patrol lines. Although handy, I found myself relying more upon my own visuals than the ability of my powers. This largely comes down to personal preference though, as my playstyle was always about moving quickly, laying low and reaching high vantage points to observe the enemy AI as I calculated my best plan of attack. In addition to powers there are several ways you can upgrade your characters more physical abilities. Upgrading your strength allows you to throw things further and knock people out with bottles during combat, upgrading your agility makes you more nimble, allowing you to run faster and jump higher, then you also have the option of gaining the ability to craft Bonecharms. This seemed like a good idea at the time, but after allocating my Runes (upgrade points) to this ability, it was rather disappointing. Bonecharms are items you can equip to yourself for slight and sometimes great advantages. You can find them in levels by equipping the heart which tells you exactly where they are, including shrines filled with Runes and extra story, plus the single standard Runes for upgrading your powers. The types you'll find are Bonecharms, Corrupt Bonecharms and Black Bonecharms. The standard ones give your character slight boosts and perks, Corrupt ones come with sometimes good abilities but always have a drawback, while Black Bonecharms are the best, most powerful and have no drawbacks at all. You can sacrifice a normal Bonecharm with the craft ability to make a maximum 4 slotted Bonecharm, but even using the ability of one sacrificed Bonecharm four times on the same one you're crafting didn't seem to overly change much. This was disappointing, though I did find myself using the final ability upgrade a little more than the rest (yet only on the last Chapter), to create Runes from Whalebone found around the environment. For me, it wasn't worth investing all of my runes into this and sadly I'd recommend other players avoid this altogether. Additionally, there's also the Black Market which offers items to re-stock your loadout and upgrades for both your character and weapons. Sometimes they have Runes for sale too, though if you're cunning enough you can always find a way into the back room to pillage their entire stock. As for the difficulty, Hard mode proved fairly challenging later on in the game as patrols grew in number and enemies seemed to be a lot more perceptive of your actions. If you want to finish a mission completely unnoticed, you have your work cut out for you, for one slip up could end it all. For this approach you need to be patient and cunning. At times you'll need to create your own distractions to reach your target and so it's not always wise to hide the bodies of those you've killed or KO'd. One good example of this was I had already cleared one room of guards but needed to enter a more heavily guarded area, so I left the bodies in the first room, opened one set of doors, threw a bottle into the first room to alert everyone to that area while I crept around the outside of the building and down into the room I needed to reach, completely unnoticed. It's hard work at times, but the payoff can be huge if planned out right. A good view of the harbour! Something I'd like to touch upon is how you have multiple ways to dispose of your mission targets. Generally, you're given two options - A lethal or non-lethal approach. You can go about this any way you'd like, but if you wish to be a little more creative, there's always option C. Option C is pretty much the cinematic approach. A good example of this is on one mission you're lead to believe you have to side with either the thugs or the military/guard. If you return to the thugs with the leader (Overseer) of the military over your shoulder, they won't harm you. If you do the same with the leader of the thugs, the military won't harm you, but I went with option C, knocking them both out. Unsure what to do at that point I explored a little more and discovered as an optional quest you can drop one of their unconscious bodies off inside a casket, ready to be shipped off and experimented on, only when I returned with the Overseer of the military faction, I discovered there were two caskets and what better way to clear the streets of trouble than to deliver both the leader of the thugs and the military? So, that's what I did and it gave me a little more dialogue for doing so. In another mission, I also convinced a certain someones double to overthrow the real leader, helping him to do so and in the process making a potentially valuable ally for the next game (if one ever releases) of the series. There's a lot to do and it's fun to experiment, but the level design is also fantastic at times. Take the Clockwork Mansion for example. Upon entering this building, I initially just thought it was called this because the leader (Kirin Jindosh) specialises in the creation of mechanical inventions, but little did I know just how wrong I truly was. For you see, this whole entire building has the ability to transform and change layout, turning it into one of the craziest and most mind-boggling levels I've ever had the pleasure of playing. At one point I needed to act fast, so I pressed a button to transform the room just as I was being pursued by one of the large mechanical soldiers in the game and quickly used Far Reach to get myself under the floor mid-transformation. At first I thought I was dead, but no, you can actually get under the floor to find new areas, then transform the area again to find even more areas. I ended up using this to my advantage multiple times, trapping enemies under the floor, leaving me free to explore the area some more. The Clocktower Mansion was definitely one of my favourite levels, but the one I was waiting for was the one showcased during Dishonored 2's E3 conference. Initially believing the time hopping tool to be something you'd get early in the game, you don't actually acquire it until more or less the final stretch of the game. You end up in an old abandoned home and many of the areas are blocked off, so on this linear path you're lead to a man (who won't be named due to spoilers) who's gone a little insane over the years. Shortly after this point you end up with the time hopping tool and this is where the game gets clever once more. The time tool itself allows you to see the past (or present, depending on where you are) in real-time while the window is kept up. This window shows areas open in the past that aren't open in the present and vice versa. It doesn't take long to get the hang of things and with a little exploring you quickly discover just how large this mansion is, though be careful because Bloodfly nests, infected people and vicious dogs are on the prowl in the present time, while you have a large number of military guards to deal with in the past. Of note, certain things you do in the past effect things in the future, so if you knock down a balcony in the past for example, that balcony is destroyed enough in the present to climb, reaching an otherwise inaccessible area. This whole level is tailored to the time tool and yet as soon as the level ends, so does your time with the time tool. This for me was rather disappointing as once I got the hang of it, I really wanted to go back through previous areas of the game and use it there, so I think it's a bit of a missed opportunity for the guys at Arkane Studios, but it was fun while it lasted and so incredibly rewarding. Attracting trouble, jumping through time to escape and then re-appearing back in their time to instantly take them out from behind couldn't be more fun! Like the previous game, most of your story comes from spoken dialogue during a mission and books/pages you find along the way. The overall story isn't too heavy and leans somewhat on the basic side, but listening in to conversations between guards can give you key clues, knowledge and additional quests to further aid your overall mission goal. This is good and the enemies are fairly diverse also, with interesting mission targets, vicious dogs and Witch dogs that never die, Delilah's army of Brigmore Witches, Thugs, Guards, Mechanical Soldiers, Bloodfly swarms/nests and the occasional group of rats, you really need to be on your toes. My results for the last mission on hard - Mission Complete screen. 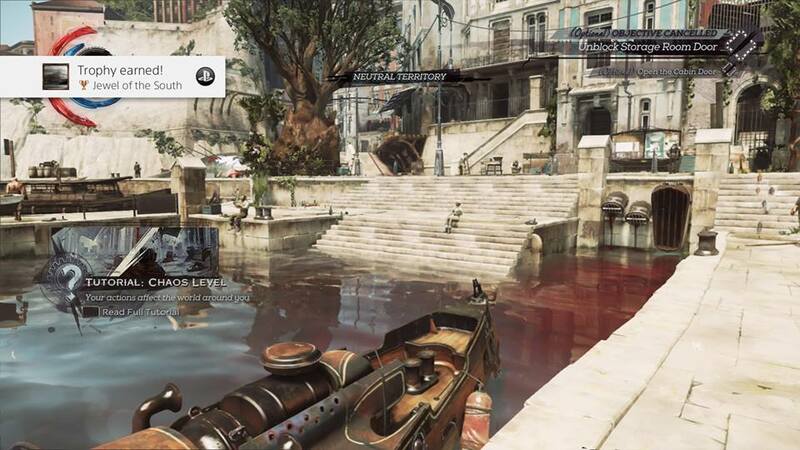 Overall, I really liked Dishonored 2. It wasn't perfect and did suffer from the occasional lighting and sound glitches, but was a very functional and at times, intuitive title. 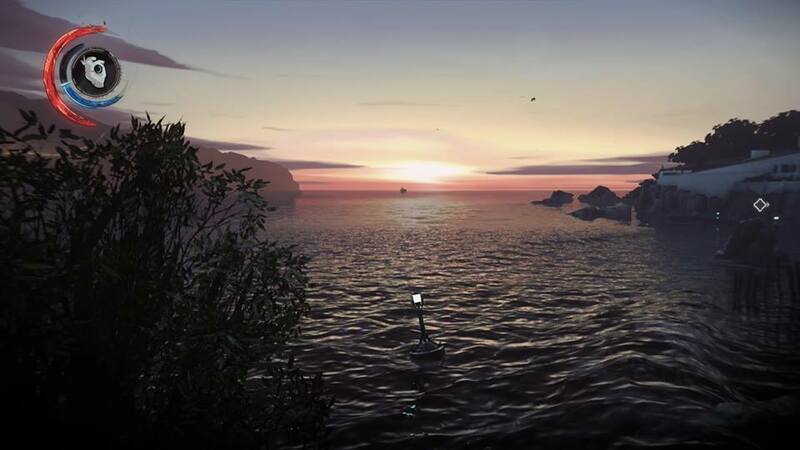 It was great to be able to jump into the world of Dishonored once more and a nice change to play as someone new, even giving you the option to play without powers at the start of your adventure. There are multiple ways to tackle objectives and you have the freedom to take as little or as long as you'd like to accomplish your tasks. For me, Dishonored 2 was a pretty good sequel to the original. It was very pretty to look at, offered a lot more content on the lore of Dunwall (and other surrounding locations) and gave a pretty good reason for why the story had to continue after the original. I may have only played as Emily, but it's clear to me that she was the main protagonist of this adventure. This is her time in the spotlight. This is her journey and I'm glad I got to experience something so fun.